Here’s the truth: you’ve been lied to. Many diseases plaguing Americans today — diseases we’re told are genetic and therefore unavoidable — these diseases are actually preventable. Here’s the good news: Fix the deficiency — Fix the problem. 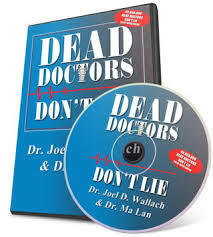 Listen to the best of Dr. Wallach’s famous lecture “Dead Doctors Don’t Lie” below.